Compatible with LT15 model portable sawmills with 3 bed sections. Also available as a standalone product. The MP100 log moulder/planer opens the door to more possibilities and dream projects. Perfect for custom builders, craftsman, woodworkers, and small sawmill operations, the MP100 is a specialized moulder head that planes and moulds beams and columns that join together perfectly. Once you have squared up a log, you are ready to let the log moulder/planer do the rest. 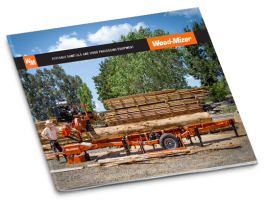 The MP100 can be added to a Wood-Mizer LT15 model portable sawmill with three bed sections. 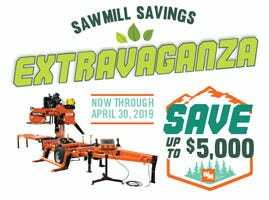 With this combination, a log can be turned into a moulded product all in one place by using the sawmill head for sawing the log into a cant and using the MP100 for moulding/planing without having to move the beam to a separate machine.